In Fire Tube boilers, the hot gases from the furnace are passed through a series of tubes. The tubes are placed in the shell of the boiler which contains the water. The water is thus heated by the heat from the fire tubes. These boilers are used in low pressure applications as it is difficult to design the tubes which can withstand the higher pressure of the water in the boiler. Firetube boilers have a larger water volume and can thus handle sudden load surges better. They are easier to repair and maintain. 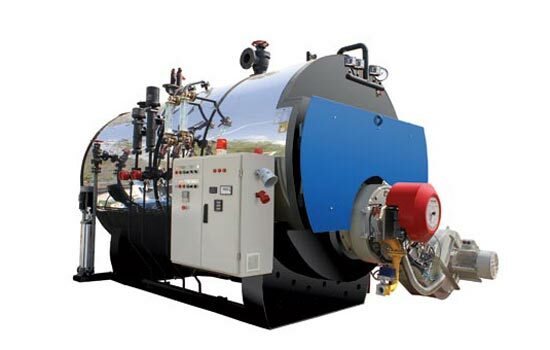 Firetube boilers are suitable for applications where the load is fixed with little variations. They may take a long time to warm up as they have a large quantity of water. Firetube boilers are not suitable for high pressure applications and for applications which require high steam output.